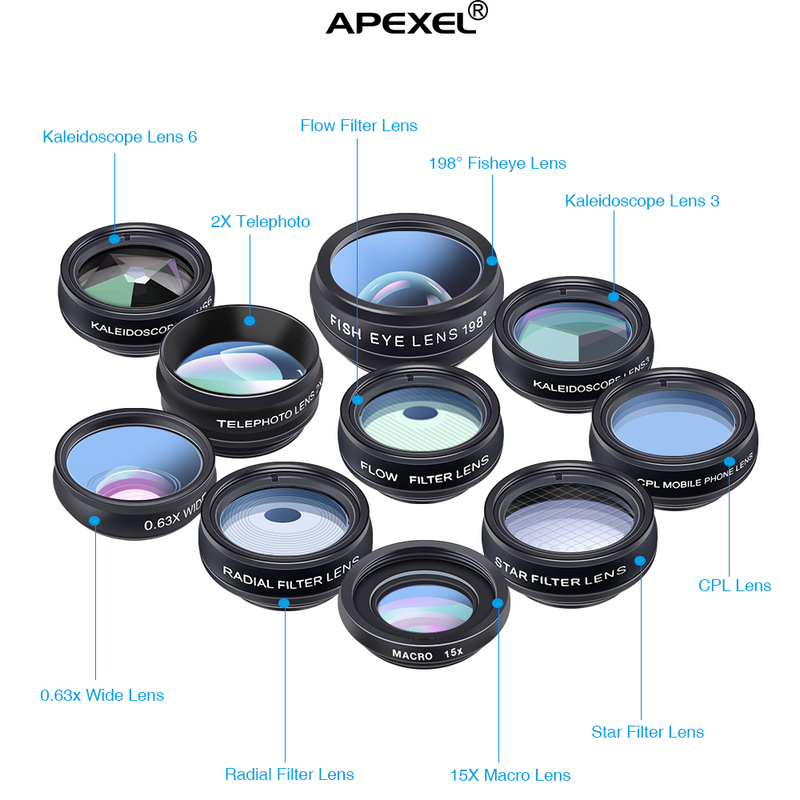 Easy to install and operate, this 10 in 1 lens kit from Apexel will make the whole wide world of subjects more readily available to your Smartphone. 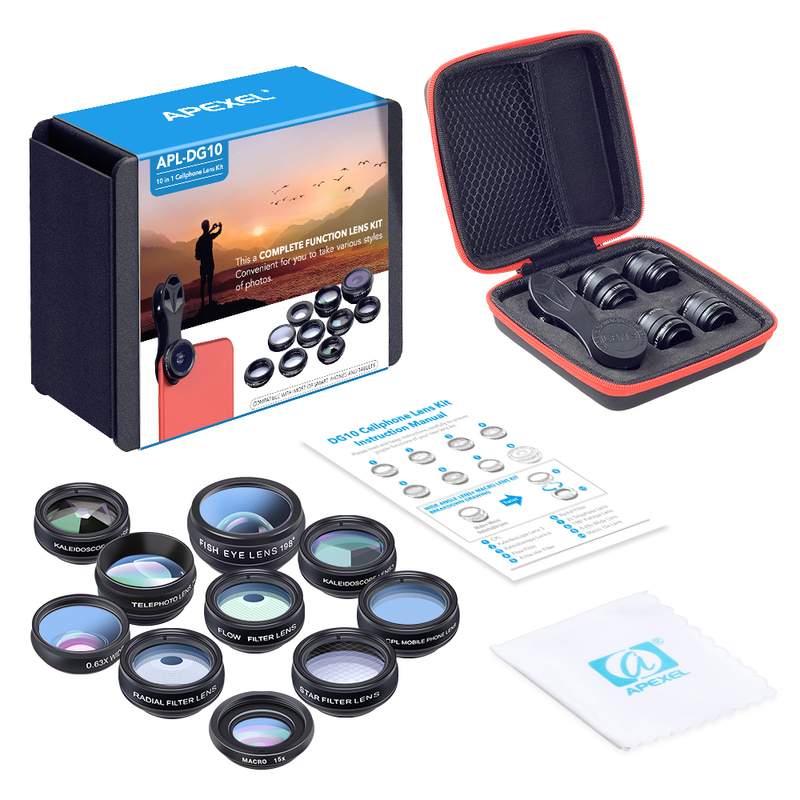 Ideal for a large variety of shooting conditions this kit includes a 198 degree fisheye lens, 0.63x wide angle lens, 15x Macro lens, a super wide angle lens, 0.36X , 2x telephoto lens , Kaleidoscope Lens plus a circular polariser lens, star filter lens, flow filter lens Suitable for the majority of smartphones, you will be blown away by the optical quality of this compact lens kit and the resulting excellent image quality. 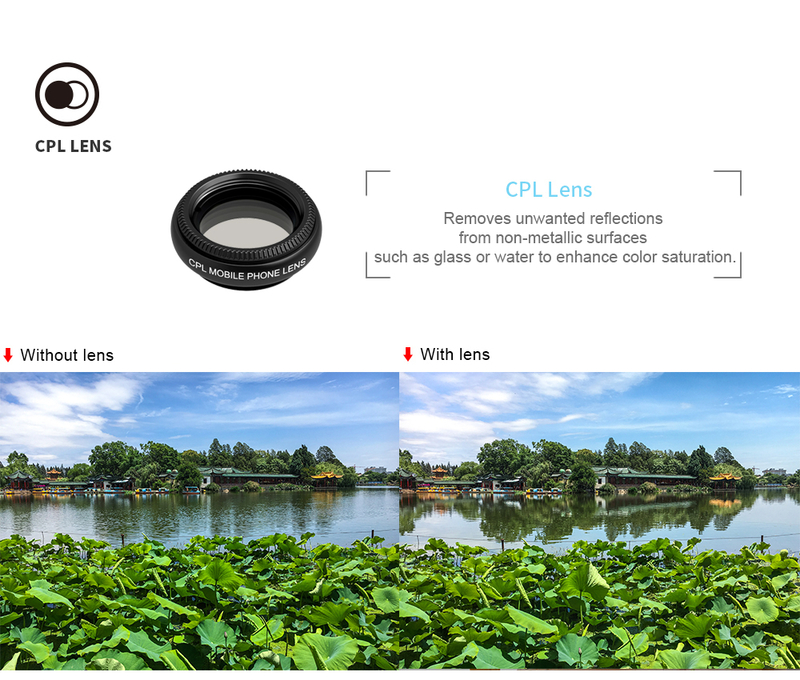 With smartphone cameras getting more and more use with everyday, accessories like this Apexel lens kit are essential for getting the best quality pictures possible. This 7 piece kit will equip you for handling the wide variety of subjects that you may encounter as you explore the world round and thanks to its compact and lightweight build and easy to use clip on system, you will be happy to carry it with you wherever you go. 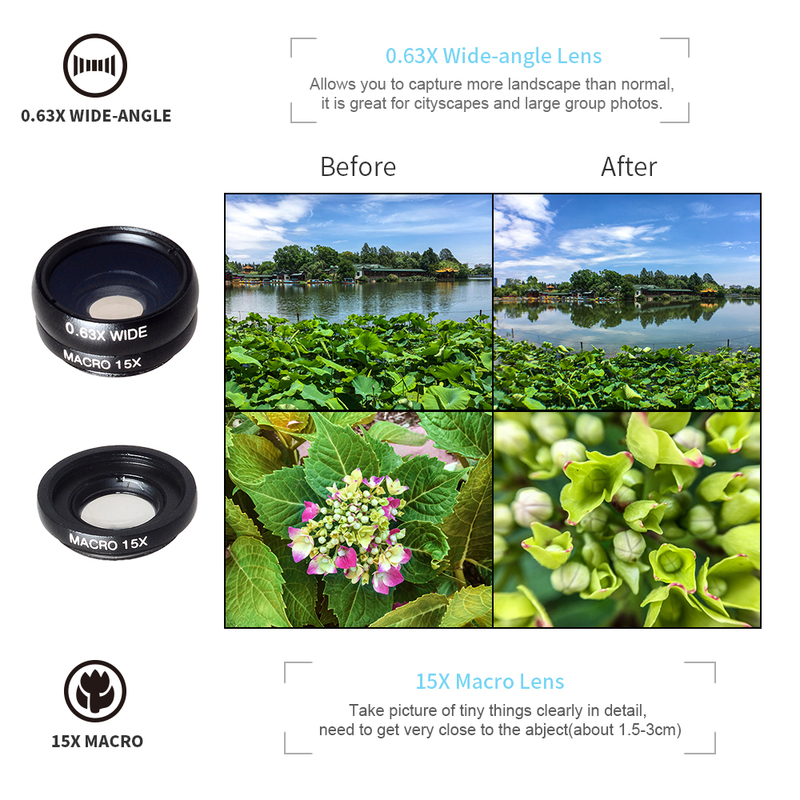 The Apexel 10 in 1 HD lens kit is compatible with the majority of smartphone cameras, providing the diameter of the camera is no larger than 13mm. Normally your phone can't be focus if too close to the subject,with macro lens,Change your phone to be a magnifier, Much helpful when you are shooting flowers and insects. 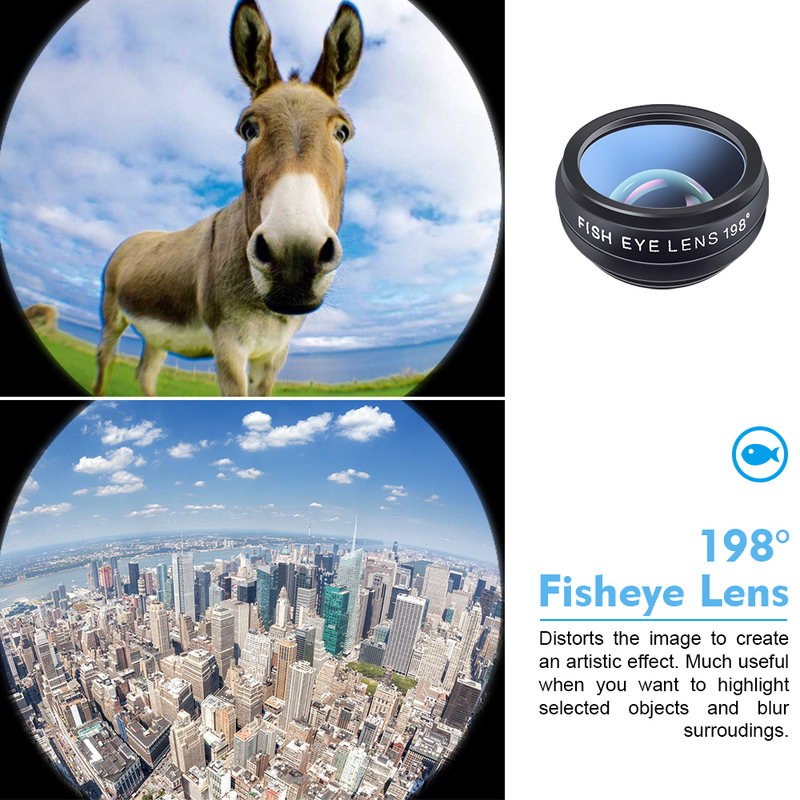 Distorts the images to create an artistic effect,It will be much useful when you want to highlight selected objects and blur surroundings. 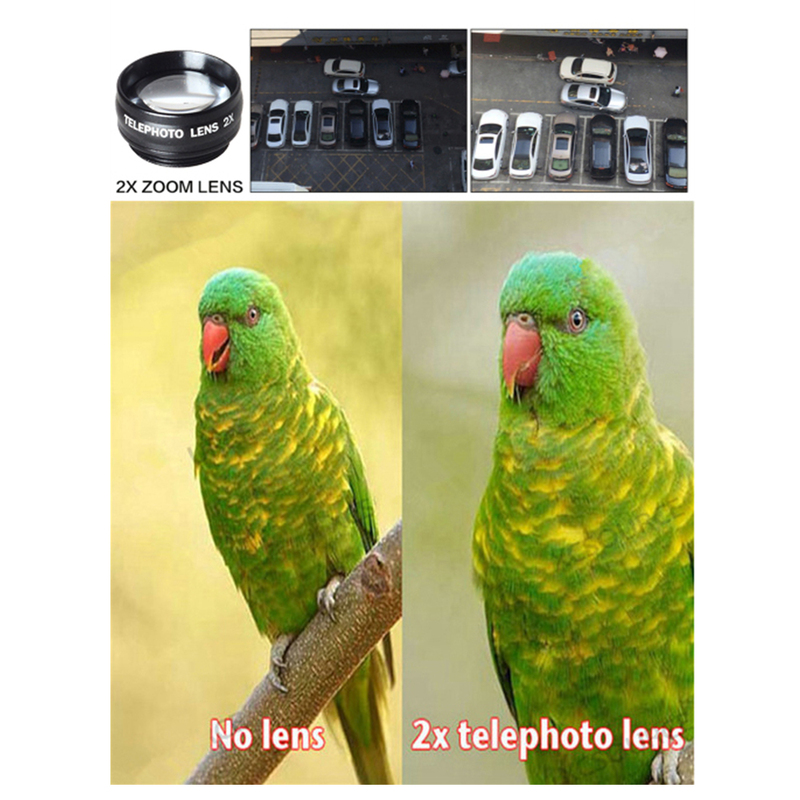 Make you shot more distant scene enlarged photo,good for distant details and unapproachable subject. Remove unwanted reflections from non-metallic surfaces such as glass or water. 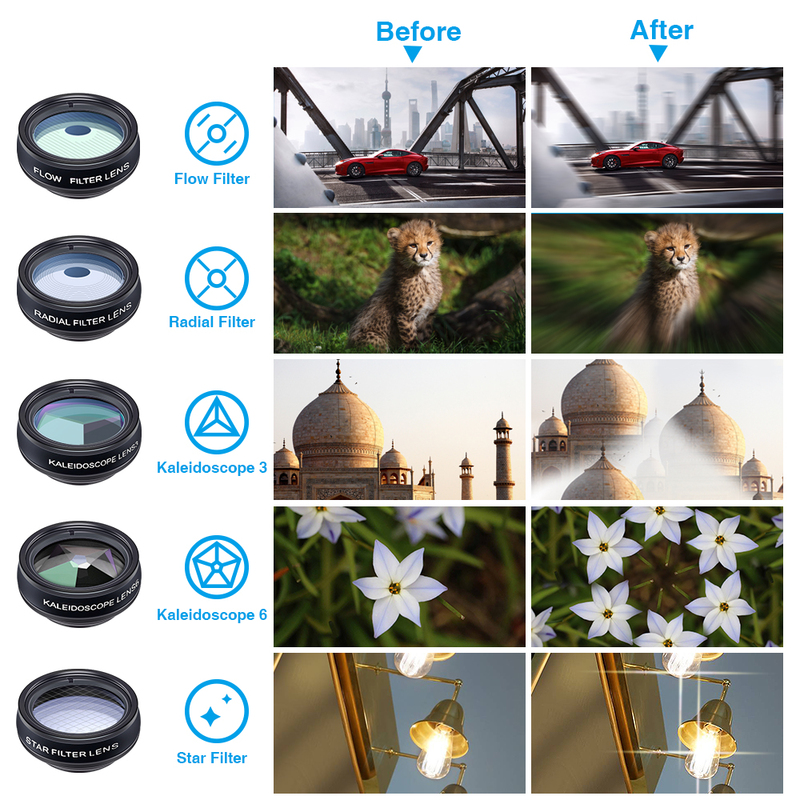 Funky kaledoscope Lens takes a single image and replicates it six times, arranging them in a hexagonal shape.Great to get funny photos.